Starting 24 April, under Amazon In-Car delivery service, Amazon Prime customers can get their orders delivered inside their parked car, a service currently offered to certain General Motors and Volvo cars in 37 cities across the United States. This announcement comes at an interesting time when Facebook, another technology company, is in the middle of data privacy controversy. With the Amazon’s In-Car Delivery service, the data privacy space has reached an interesting intersection. On the one hand, customers are justifiably upset with Facebook’s lax data protection policies, something that has led to fewer people trusting technology companies with their data. On the other hand, the online retail giant Amazon is asking customers to let it access their cars. The entire concept of online shopping is built around a single idea: convenience. For over a century, mail-order business made easy the lives of many people in the western world. The internet, however, brought something unprecedented to remote shopping: a virtually infinitely large product digital catalogue. Scrapehero estimates Amazon has a total of 562,382,292 products, as on Jan 10th 2018. If you browsed non-stop through all these products, taking just 1 second per product, you’d need over 6,500 days – nearly a quarter of your lifetime. About 66% of the total couples have both spouses working in the USA. That means there’s fewer chances for the Amazon delivery guy to find somebody home at the time of package delivery. In cases where a package is a gift for someone in the family, the Amazon In-Car Delivery can help retain the surprise till the moment is right. In cases where there’s only a senior parent or a young child resting at home, accepting the delivery will disturb them. In-Car Delivery is quite suitable in these cases. Packages left in the porch of the home were easy targets of what are called Porch Pirates who stole these packages. In-Car Delivery practically resolves this issue. Some offices may not allow delivery to be collected within the office premises. In-Car Delivery is a big help in such cases. In-Car Delivery may not be for everyone (see Eligibility below), but it most certainly brings an added convenience to the home-shopping experience. Before formally offering the in-car delivery services, Amazon beta tested the service in California and Washington. It is understood Amazon had, in 2015, tested it in Germany on a smaller base. To use this service, Amazon customers need to download the Amazon Key app in their phone and connect their Amazon account with the car-maker’s service (currently OnStar or OnCall). Next, they key in the car details in the app: the make and brand of the car, its color, its registration number and its model. At the time of ordering, customers are asked to select “In-Car Delivery” option and are given a four-hour delivery window. From the app, Amazon knows the area where the car is parked and guides the delivery person. The delivery person receives the image and the registration number of the car. When the delivery person locates the car, he notifies the Amazon app. The app, in turn, communicates with the car-maker’s (currently Volvo or GM) system. The car-maker’s specialized system will unlock the trunk of the car. The delivery person places the package inside the trunk and closes the trunk. He checks the trunk is properly locked and confirms to the Amazon app that the delivery has been successful. Customers receive a confirmation message upon successful completion of the delivery. 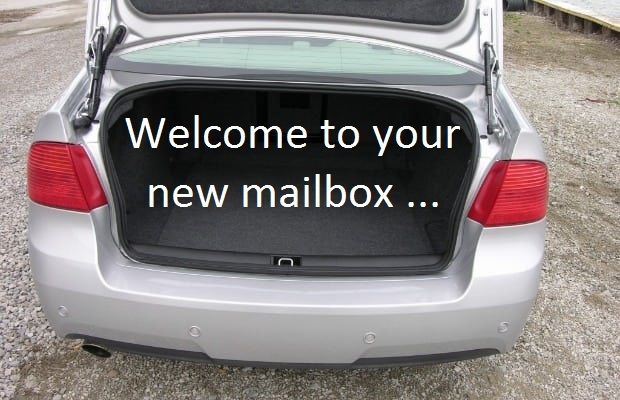 For security reasons, the car trunk can be opened only once per scheduled delivery. It might interest readers that the Amazon Key app was originally developed to help delivery persons unlock customer’s homes. This was done with a view to making deliveries when the home was locked. 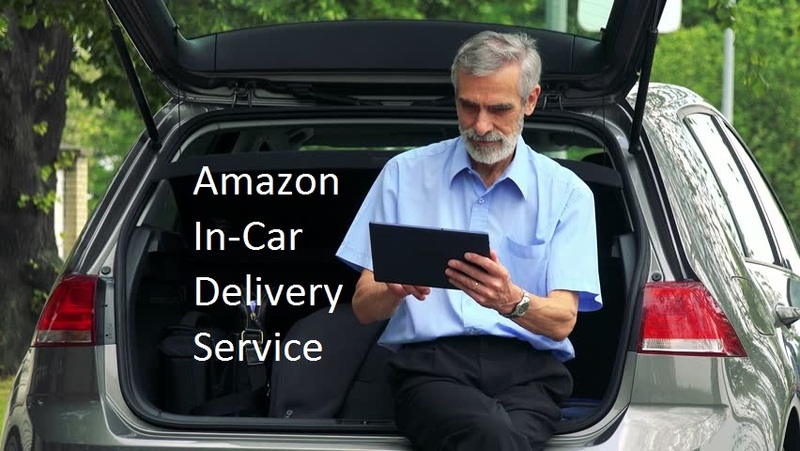 Here’s a short video on how the Amazon delivery directly in car works. What happens if the car is not available at the last moment? It is possible the car is not located at the specified place. It has either been driven away for some emergency reasons or is temporarily unavailable. If the car is available, but is at a different location, the customer can request a change of location. If the car is completely unavailable, the delivery can be made to the default delivery location specified by the customer. In all cases, customer can block access to the car and the car won’t open. Firstly, this service is available only to Amazon Prime customers. Currently, only GM and Volvo cars of 2015 or later can avail themselves of this service. GM cars must have a valid OnStar account. OnStar is GM’s subsidiary, offering subscription-based in-vehicle security, roadside assistance, emergency and navigation services and remote diagnostics systems in Canada, China, Brazil, Argentina and Europe, apart from the USA. Volvo car-owners must have a valid OnCall account. OnCall is a smartphone app similar to the Gm’s Onstar. It also carries additional features like times for cabin climate, remote engine turn off/turn on, trip log and more. While Amazon In-Car Delivery is definitely a great idea, there are some concerns too. Privacy: Where my car is parked can disclose more than I’d like to share. What if my car is parked at a drug rehab centre? A neighborhood that’s full of attorneys specializing in divorce cases? Or perhaps near a hospital that treats serious, communicable diseases? Poor connectivity: Delivery personnel may have a hard time if the automaker’s cloud services don’t perform well in areas with poor connectivity. No video feed: Unlike in-home deliveries, where there was a video feed to ward off some of the evils, in-car delivery has no security checks and balances. Increased dependency: With one more channel of delivery, technology companies seem to be closing in. It’s like Amazon wants you have one less reason to decline ordering from Amazon. All said and done, Amazon’s In-Car Delivery is surely something that would be exciting to watch. At the least, it has the first-mover advantage and how it shapes the market can influence a lot of things. This is a impressive story. Thanks Deena! Hope you like the other posts too!